We came to the Wide home for 2 weeks in December. 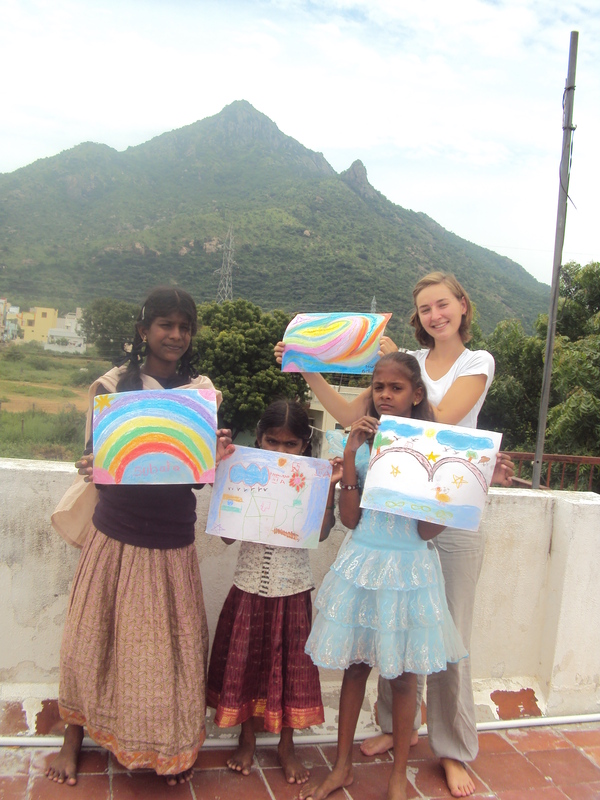 Kids were in holiday the first week for Deepam festival, lucky are we to have had more time with them! So many games! These kids are so resourceful, they amazed us every day! Coco and Celeste founded many friends here. Thanks to Kumari, Xavier and Prya for everything. Thanks to all the kids for showing us so much love! Welcome Susan Rich from the USA. Susan is volunteering for 3 months helping us in multiple ways with our events and activities. Susan has become one of the WIDE Family members. 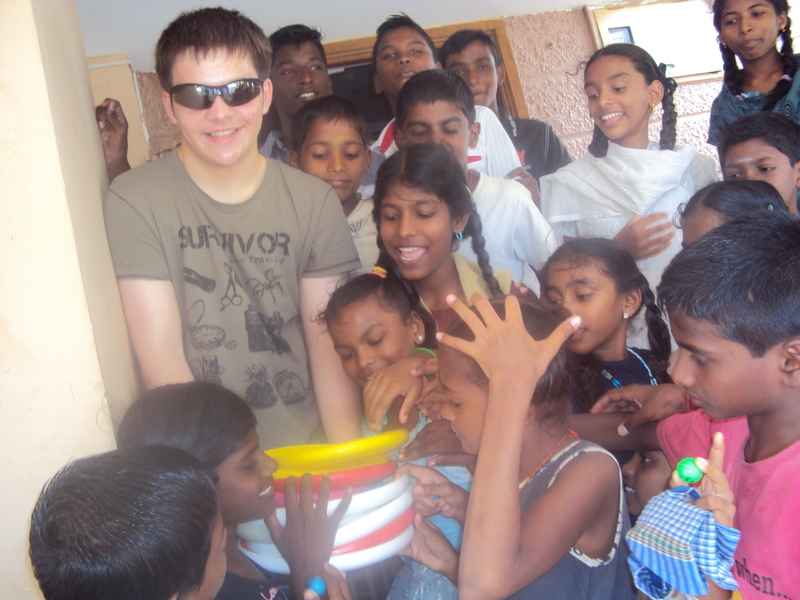 Lukas and Lina spent 1 month volunteering. Now we enjoy the visit of Maria, from Germany. She is staying for September and October at the Wide Children’s Home and already feels at home. In August we had a great time with Fabian and Cèdric from Germany, thank you very much both of you. On the 24th May we were very sorry that our new friend Hrvoje (everyone calls him “H”) from Croatia had to leave. He just came by spontaneously on the 14th, after having seen one of our posters at the ashram. And as unexpected as he came to us, as full of ideas he was for improving the home! He noticed how much of a challenge it is for newcomers to find WIDE, and promtly made some signposts together with the children, so that now it is easy to find and stay with us. That is only one of the many things he improved, and to tell you everything would simply be too much. (You get a little impression by looking at the pictures below, though :)) The fun we had with him ranged from cooking and drawing to making plans for the future and a possible playground. We can only say thank you so many times, but we truly were delighted by your wonderful stay with us, and happy to welcome a new member to the family. Lots of love from Tiru, and come visit again!